Visual perception is continuously regulated by adaptation processes that adjust sensitivity to match the current visual stimulus. These adaptations compensate for both changes in the environment and changes in the observer (e.g. as we age). This webinar will provide an overview of how adaptation adjusts to both the average color and the gamut of colors in scenes, how these adjustments can be used to study the neural mechanisms of color vision, and some of the proposed consequences and benefits of these adjustments. 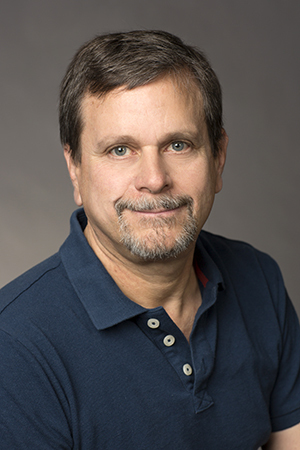 Michael Webster is a Foundation Professor at the University of Nevada, Reno where he serves a Director of the Institute for Integrative Neuroscience (an NIH COBRE grant) and as co-Director of both the BS and PhD programs in Neuroscience. He began studying color as an undergraduate at UCSD and then as a doctoral student at UC Berkeley, receiving his PhD in 1988. From there he spent six years as a postdoctoral fellow at the University of Cambridge before moving to Nevada in 1994. His research focuses on color and form perception and how vision is shaped by adaptation to both natural and unnatural visual environments.